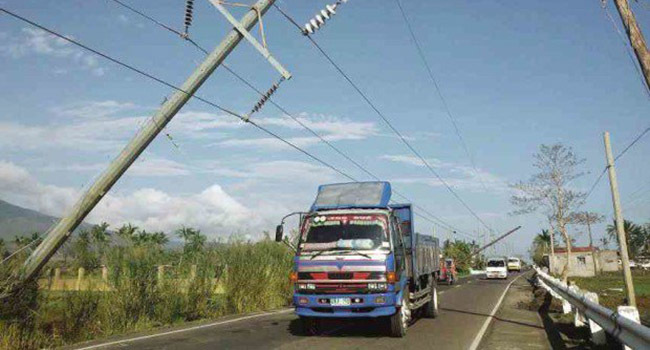 ELECTRIC CABLES – A lawmaker encouraged the Department of Energy and DICT to bury all electric cables to avoid or reduce the chances of blackouts. It’s been 5 years since Typhoon Yolanda, internationally named “Haiyan”, wreaked havoc in some areas in the Philippines, especially on the Eastern parts of Visayas. The supertyphoon packed maximum sustained winds of over 300 kilometers per hour and took the lives of about 7,500 people. Recently, the Philippines marked its 5th anniversary of the Yolanda destruction, which happened on November 8, 2013. A news article from Inquirer says that Leyte 2nd District Rep. Henry Ong’s proposal came as soon as the country marked the anniversary. Ong, who is also one of the House committees on energy and information and communications technology, said that they must begin the operation in 2019 and onwards as a climate change adaptation and disaster mitigation program. He further noted that the Philippines is in the path of and is attacked by storms all throughout the year. As per the report, the operation is currently initiated in Davao City. However, Ong noted that it will require massive investments and meticulous planning by both the power and telecoms sectors. Lastly, they will gradually start with Eastern Visayas; Bicol; northeastern Mindanao; and the eastern seaboard of Luzon as Ong said that these are where the storms hit with full force.